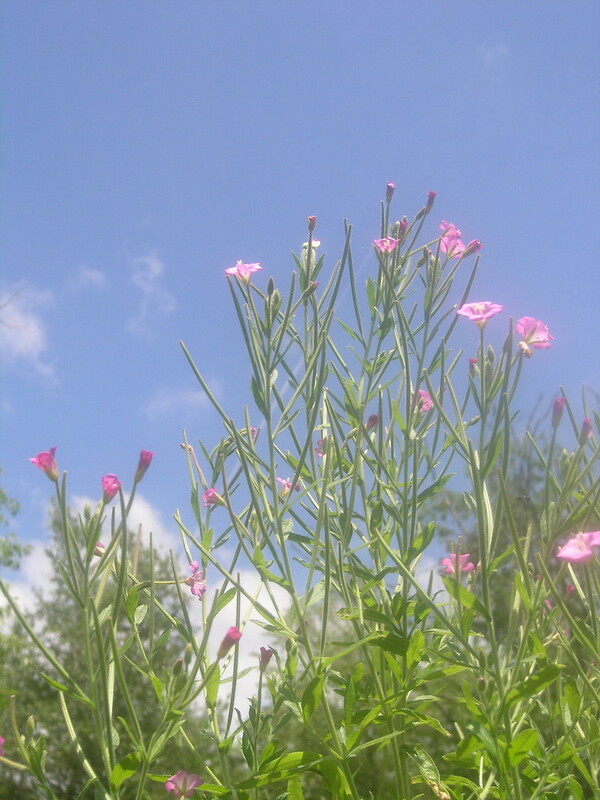 Epilobium hirsutum plant. By Bruce Patterson. Copyright © 2018 Bruce Patterson. New England Wild Flower Society. gobotany.newenglandwild.org (Accessed 5/2018). 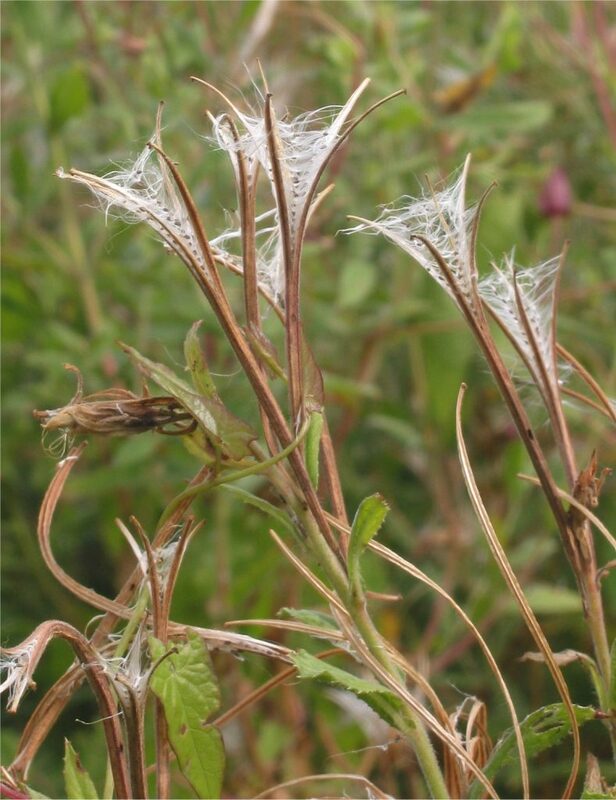 Epilobium hirsutum is a perennial herb 0.5-2 m tall, colonial from rhizomes, stems erect, densely hairy above, much branched. 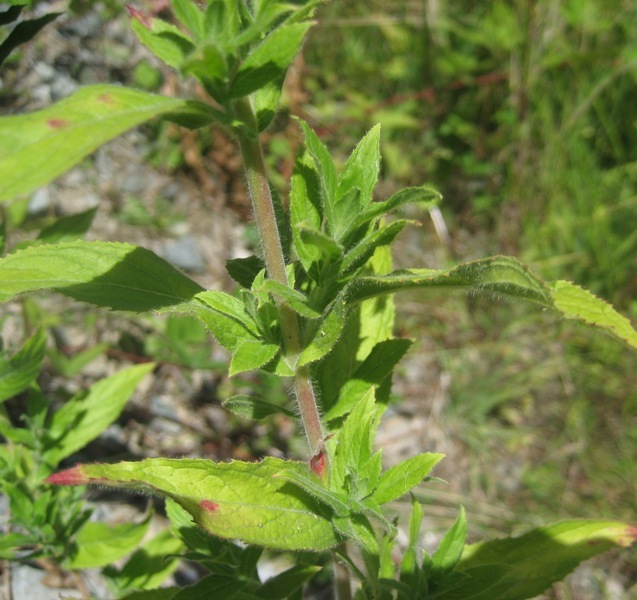 Epilobium hirsutum leaf and stem. King County. kingcounty.gov (Accessed 5/2018). Leaves opposite, 5-12 cm long, 1-3 cm wide, lance-shaped to oblong, hairy on both sides, base somewhat clasping, veins nearly parallel to midrib, margin sharply toothed. Leafy bracts of inflorescence alternate, becoming smaller above. 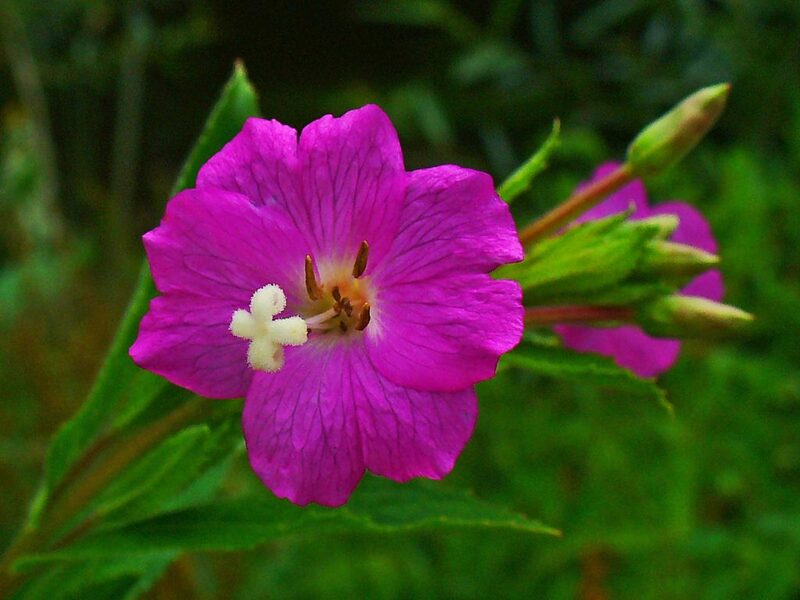 Epilobium hirsutum flower close-up. commons.wikimedia.org (Accessed 5/2018). Flowers red-purple, radially symmetrical, to about 2 cm wide, petals 4, 1-1.5 cm long, narrow at base, summit shallowly notched, stigma 4-lobed; blooms July-Sept.
Epilobium hirsutum plumed seeds before dispersal.commons.wikipedia.org (Accessed 5/2018). Fruit dry, a linear capsule 5-8 cm long; seeds with plume of white hairs.